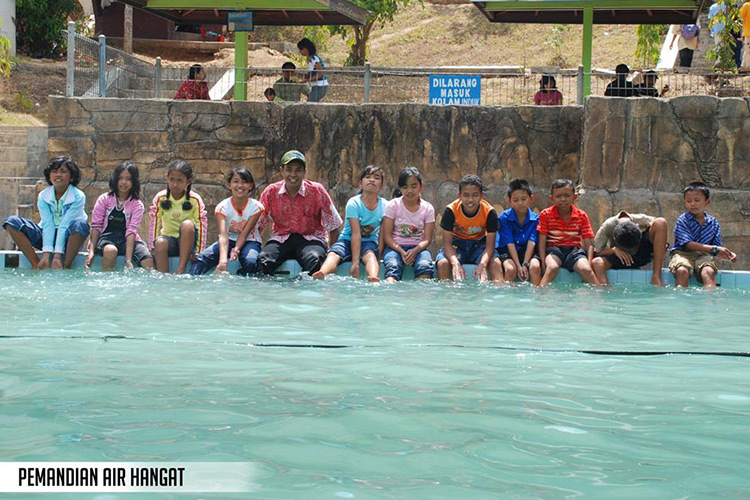 Banyu Anget or hot spring pool is still save various main special qualities and benefit for health and body fitness. This bath is called "Tirto Husodo" and now have been built two place of bathing, two swimming pool and lodges. It is one of Pacitan tourism objects that come from natural source. There are many tourists have visited this area. It is not difficult to reach this tourism object area, it can reachable with vehicle of four wheel because it has good road. It is about 15 Km from Pacitan city, precisely in Arjosari district. Banyu Anget location can reached by car and take about 10 minutes from the city. It is believed to cure man from skin disease. It also equipped with villa, bath room and also washing facility. Visit Banyu Anget Pool to get fresh body and mind! !